Students at Maryknoll School are welcomed into a small school setting where personal development and scholastic achievement are emphasized equally. As a Diocesan, Catholic, co-educational institution, Maryknoll School is committed to providing each student with a quality education through cultivation of knowledge, self-discipline, creativity, and spiritual and physical growth. Maryknoll strives to go beyond academics by developing individuals of moral integrity and personal responsibility. Students are encouraged to discover social attitudes through the exercise of justice, respect, and equality without regard to religious, social, or cultural background. Maryknoll School aspires to prepare its students for the modern world by encouraging them to work intelligently with others to build a society of lasting peace and justice. 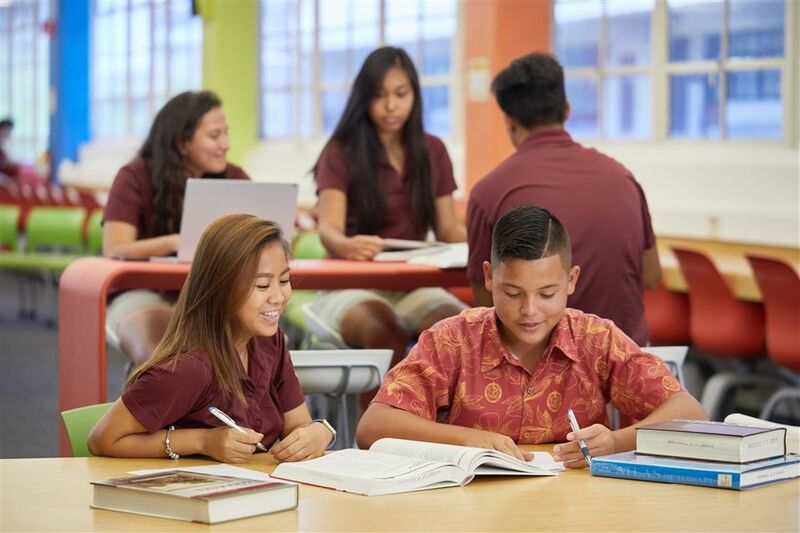 As Hawaii's largest, co-ed K-12 Catholic school, Maryknoll School believes in fostering the development of the whole child in a nurturing and welcoming community throughout the fabric of innovation. We strive to develop the whole child holistically, creating well-rounded students who excel academically and in athletics, the arts, foreign languages and social responsibility. We teach our students skills that lead them to become global citizens, following our school motto, Noblesse Oblige, which means, "to whom much is given, much is expected."